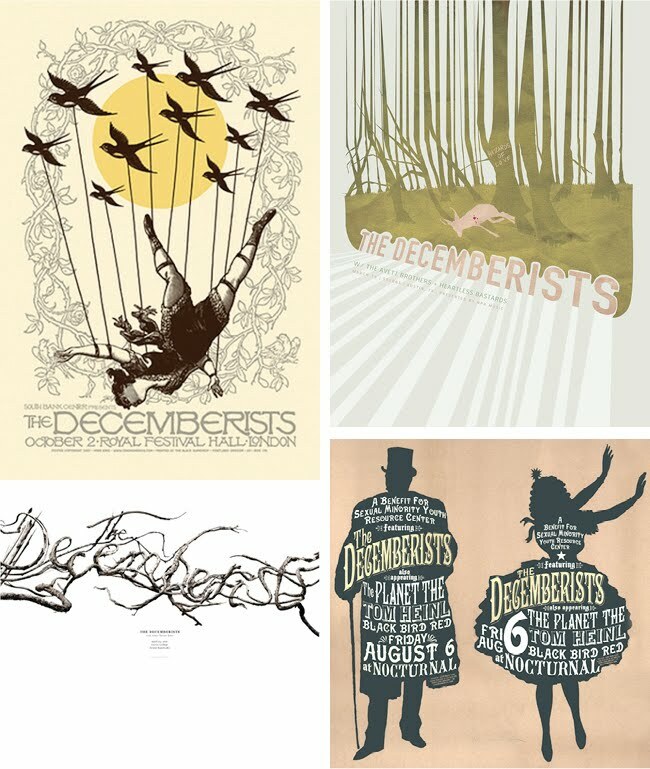 I've recently taken a liking to the folklore-esque music by The Decemberists, an indie band from Portland, Oregon. 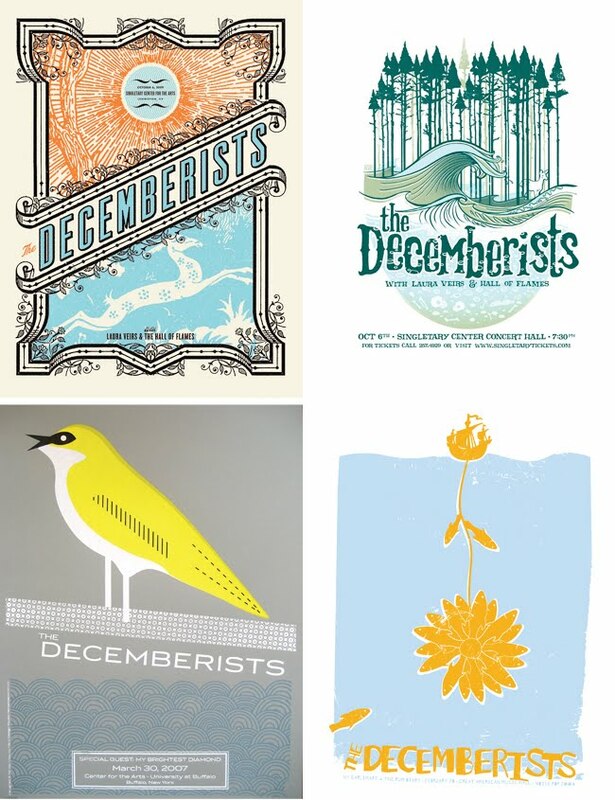 Today I thought I'd have a look around to see if their album and poster art are as creative and intriguing as their music... and happily, it is. 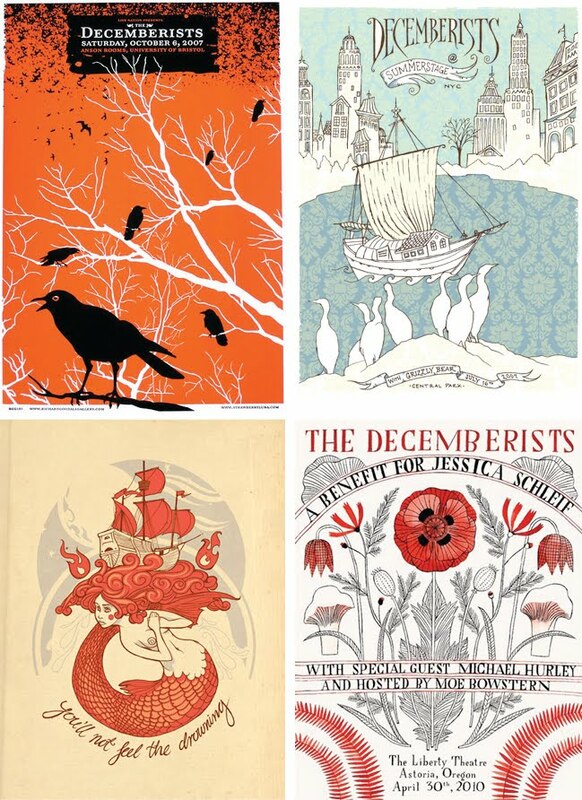 Seems that the band employs a host of illustrators and designers for their many shows, and the result is a varying and charming collection of posters from around the world, which is apparently continuing to build.